The weight-distribution trunnion hitch just got served. 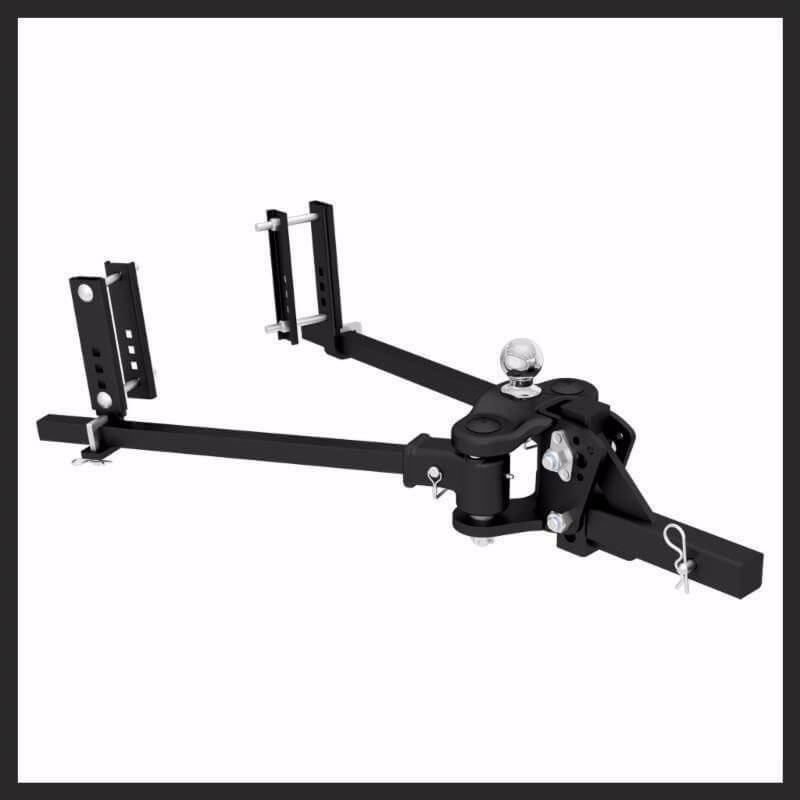 CURT Manufacturing, a leading producer of towing products, today announced its new TruTrack™ hitch (17500), which offers advanced design features that deliver the smoothest, safest ride on the market. The TruTrack resists trailer sway in a couple of different ways. First, whereas most traditional weight-distribution hitches use regular spring bars to connect to the trailer frame, the TruTrack features a pair of trunnion-style spring bars and heavy-duty, adjustable support brackets, which are set at fixed positions by the user and hold the spring bars in place, both vertically and laterally. Second, the TruTrack uses an integrated spring/cam system instead of standard pins and bolts. This CURT innovation builds up pressure to actively stop sway and then relaxes to make smooth turns. Hardened components achieve longer life, while a hex castle nut enables easy adjustment and fits most industry-standard couplers. Another big benefit of the TruTrack system is the installation: instead of relying on a pile of washers and pins, this CURT weight-distribution hitch uses a pair of interlocking nuts and preset holes that offer specific angles and on-the-fly adjustment—no more tilt-angle guesswork or disassembling the hitch head. Stop into your local Total Trucks Centers retailer to check out the newest addition to CURT’s towing lineup. Or find your closest affiliated store using our dealer locator. Several times a year, Rigid Industries shines a spotlight on one of its product lines. This spring’s shining star? The D-Series, whose lights are designed to fit into small spaces without compromising lumens or heat dissipation. They’ve also endured Rigid’s famous Torture Tested program, so they’re tough enough to beam you out of whatever trouble you get yourself into. The D-Series is Rigid’s original light cube. Coming in at a compact 3” x 3” size, D-Series lights mount just about anywhere: pillar bars, horizontal bars, vertical bars, handlebars, license plates, trailers, and more. Making either 1,568 or 3,096 lumens, D-Series lights offer more surface cooling than any comparably sized light, while emitting a variety of lux patterns: spot, flood, driving, diffused, wide, and hyperspot, which offers an astounding 93,000 Candelas at peak intensity. Light covers provide both protection and custom light colors. Choose from clear; opaque; translucent yellow, blue, red, green, and gray; black; and even camo. 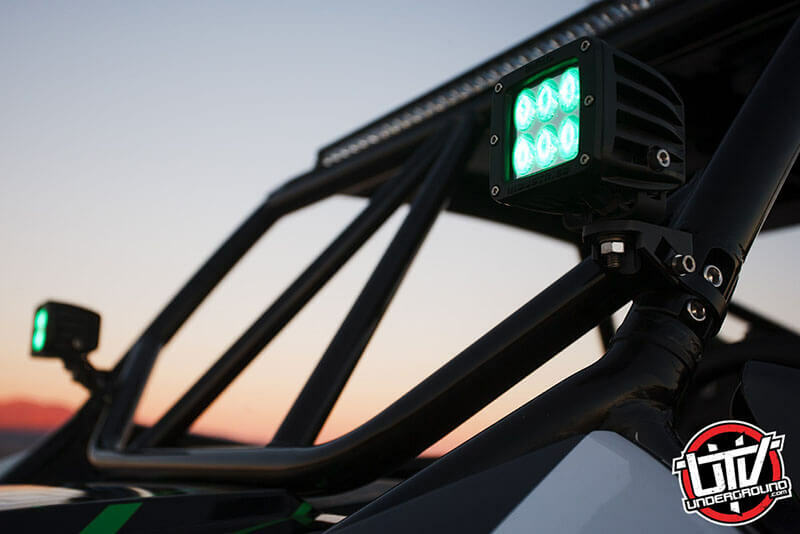 The D-Series family of lights from Rigid Industries includes the Dually and D2 (land and marine), HD Dually, D2 HD, and all the installation accessories you could ever need. Kits include mounting brackets and hardware, as well as a plug-and-play wiring harness with Deutsch connector and switch. Stop into your local Total Trucks Centers retailer to check out Rigid Industries’ extensive selection of top-of-the-line LED lighting solutions today! Or find your closest affiliated store using our dealer locator.